In the environment when online space can provide you with hundreds of free webmail solutions, famous Yahoo! corporation managed to pool all of its resources into one online service that has captured the favor of hundreds of million users. Yahoo! Mail is a worldwide known web client that runs directly in your browser, enabling you to carry the power of the cloud computing wherever you are, no matter what internet enabled device you are using. Simple interface, intuitive tools, reliable service, unlimited storage and support for various extensions (powerful address book, calendar, notebook) is only top of the iceberg for Yahoo! Mail. Don’t waste your time with other mail clients, because Yahoo! Mail has every feature that you can imagine. 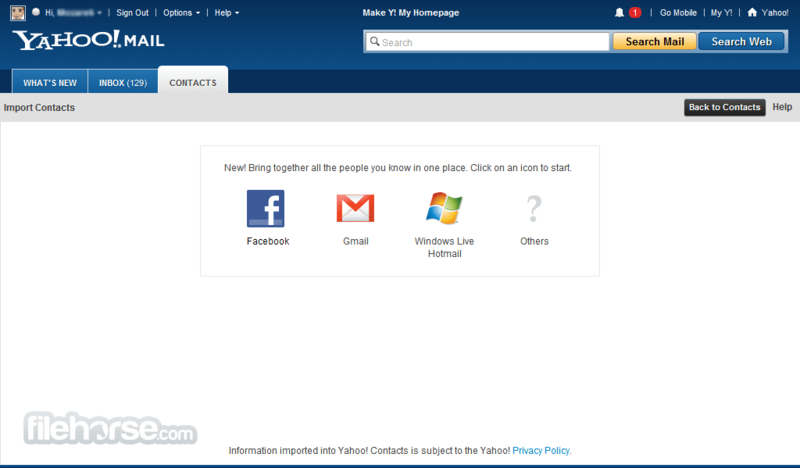 Maintain connection with friends and entire world with new Yahoo! Mail. 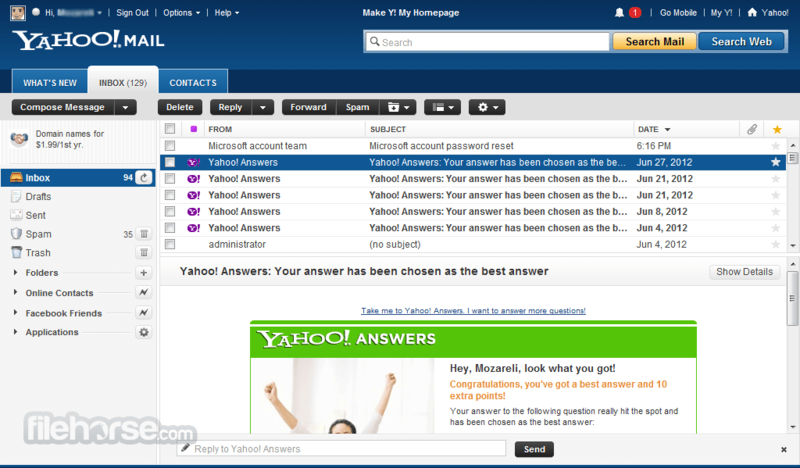 Since itappeared on the Internet in distant 1997, Yahoo@ Mail servicefrom American company Yahoo! managed to revolutionize the way we interact with email, always having access to our online account no matter where we are or that computer we are using. With ability to create 100% free accounts, control our email on the go, and stay in touch with our friends and family, this Yahoo! Mail became one of the most popular online destinations in the world. 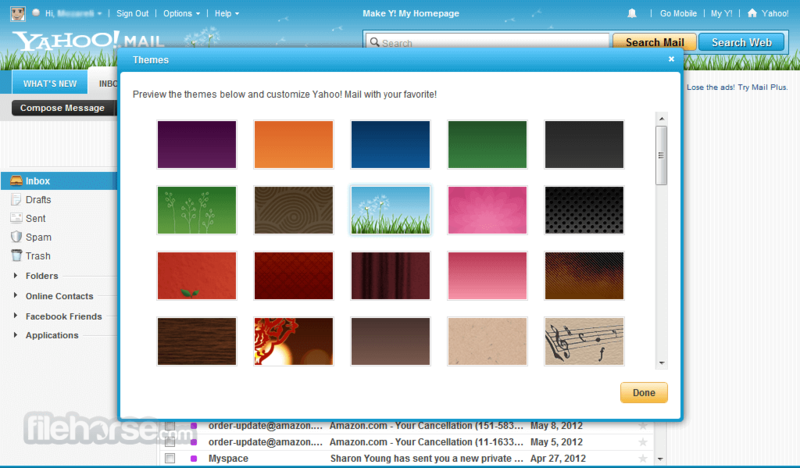 Leding the charge of expanding the usability of webmail services, Yahoo! Mail offered everyone free access to their real-time chat service in 2009, together with Calendar, Windows Live Messenger compatibility, SMS Messaging, unlimited storage, integration into popular online applications (Flickr, WordPress and others), and intuitive keyboard shortcuts. Today, after several severe changes to its visual design and underlying services and functionality, Yahoo! Mail represents third most popular web service in the world, allowing its user effortless management of email on portable devices, interaction with Facebook and Twitter and more. However, all those changes caused 2013 version of Yahoo! 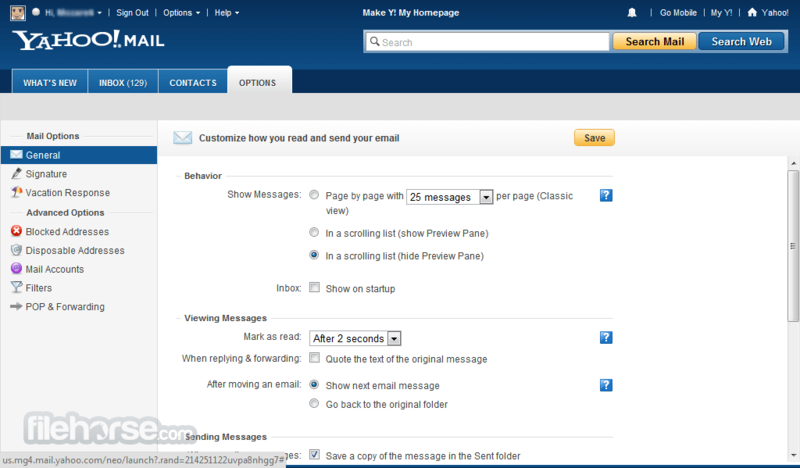 Mail web service to have inferior interface for users who were the central focus point of this app for more than a decade and a half – desktop users. Basic functions of Yahoo! Mail are just what you expect them to be. Full control over email, starring, drafting, with integrated solutions for chat on Yahoo Messenger and sharing of content with Facebook and Twitter.In addition to those services, you can also use Calendar app, Concats, and Notepad. As of 2013, Yahoo! Mail offers its users 1 TB of online storage (much more than Google’s Gmail), 25MB email attachments (expandable to 100MB if you use special built-in app for uploading), spam and vidus protection, and access to POP3, IMAP, SMTP and mail forwarding (heavily dependable on your location). After creating a new account, you are immediately transferred to email management screen that features standard array of features. After a long period of time when a large amount of clutter was present all across its interface, from semi-intrusive ads, to badly placed buttons and website objects. Some life can be inserted into its interface by choosing a colorful background image. Managing emails, its latest iteration mercifully offers much cleaner interface. Is not as smooth as it can be, with interface for adding email addresses from contact list being little uncooperative, but it’s much better than before!Things are much better when you access site from smartphones or tablets, with mobile view that is design with much more cohesion and style. Yahoo Mail features free registration process that requires of you to provide valid email address, first and last name, and desiredpassword mobile phone number, date of birth, gender and optional recovery phone number. Or alternatively, you can log in using your Facebook or Google credentials. If you don’t want to see adds in every second of your Yahoo! Mail experience, you can pay $49.99 to remove them. This subscription is by default set on auto-renewal, and is non-refundable. Yahoo! Mail has went through many changes over the last 10+ years of its existence, managing at first to attract truly large user base, and then slowly but surely to lose a big part of them to other webmail destinations (most notably Gmail). Today, Yahoo! Mail is still a very usable service that attracts over 280 users to return to it each month. 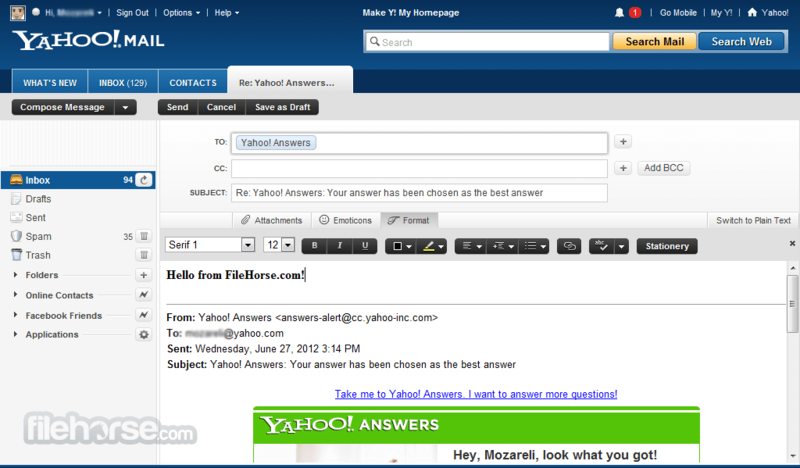 If you already have account there or you are in need of a free webmail account to use on the go, visit Yahoo! Mail and test it out.